1). Dr. Sears: parenting, psychology, pregnancy month-by-month, labour and birth basics. 2). Aha! Parenting: recommended books, preparing older children for new baby, questions for your doctor/midwife. 4). What to Expect When You’re Expecting: stages of pregnancy, basic nutrition and exercise, feeding baby (breastfeeding and/or formula) anything and everything you could ever think of related to pregnancy. 5). 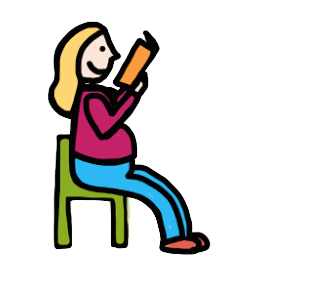 Baby Center: question and answer forum, feeding baby (breastfeeding and/or formula), baby products, choosing a name, info for dads, anything and everything you could ever think of related to pregnancy. 7). The Happiest Baby on the Block + The Happiest Toddler on the Block, by Harvey Karp: parenting, sleep, behavior and development. 9). The Nourishing Traditions Book of Baby & Child Care, by Sally Fallon Morel: vaccinations, breastfeeding, holistic and natural treatments. Labor and Birth: All of these resources below are uplifting and empowering resources for education on labour and birth. As it should be. 1). Birth Matters: A Midwife’s Manifesto, by Ina May Gaskin. 2). Ina May’s Guide to Childbirth, by Ina May Gaskin (Jessie’s Fave). 3). Laboring Well, by Elizabeth Allen. 7). Pushed: The Painful Truth About Childbirth and Modern Maternity Care, by Jennifer Block. 8). The Complete Book of Pregnancy and Childbirth, by Sheila Kitzinger. 1). Jessie Mundell, JMG Fitness Consulting: prenatal exercise, pelvic floor, diastasis recti, postnatal exercise. 2). Pregnancy Exercise: exercise in pregnancy, turn your baby, diastasis recti. 3). Bellies Inc.: abdominal wrapping/binding, mummy tummy. 4). MuTu System: postnatal exercise, diastasis recti, alignment, pelvic floor. 6). Julie Wiebe: diastasis recti, pelvic floor, alignment. 7). Kaisa Touminen: hypopresives, pelvic floor, prenatal and postnatal exercise. Breastfeeding: All of these resources below are books and/or websites dedicated to giving you tips, tricks, and words of encouragement for breastfeeding. 1). Womanly Art of Breastfeeding, by Diane Wiessinger, Diana West, and Teresa Pitman.